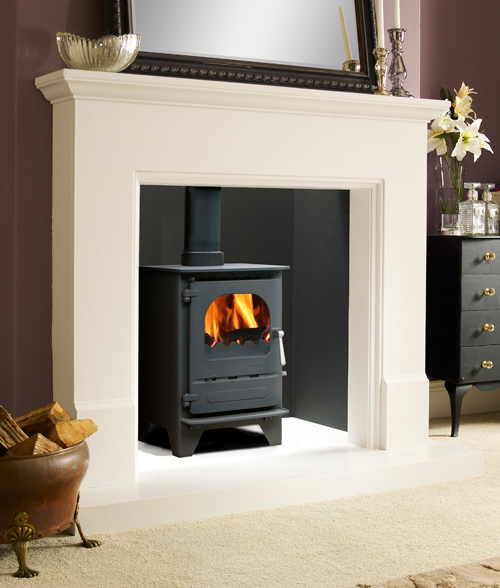 With all the best parts of the Highlander range of stoves we have developed the single door Dunsley Highlander Solo Range. 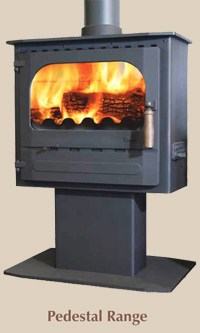 The single door gives uninterrupted views of the fire area, allowing you to enjoy the flickering flames without any compromise in efficiency or heat output. The solo door also gives a more contemporary edge to the Highlander range. 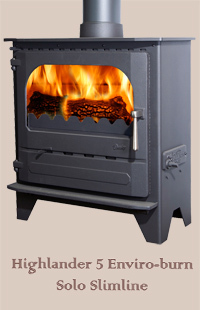 All the Highlander stoves are rated A or above. 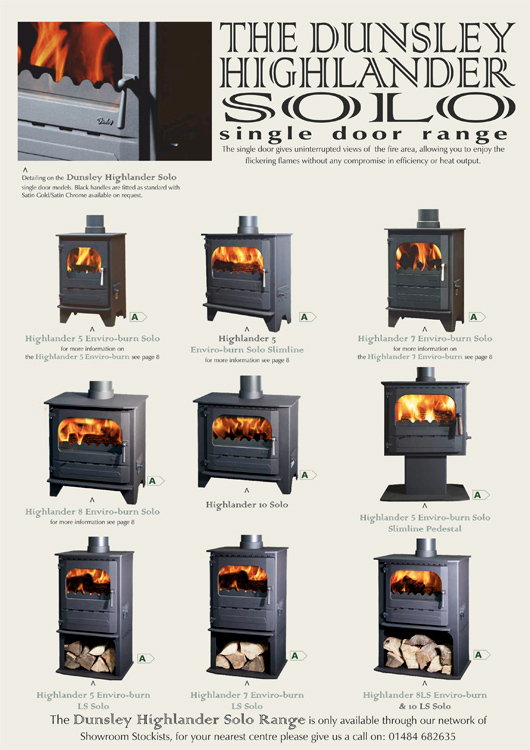 The Dunsley Highlander Solo Range is available on the Highlander 5, 7, 8, 10 and 16 non-boiler and boiler models. The image below left is for indication purposes only please get in touch for more information.